Brand new 1967-68 Mustang and 1971-73 Mustang metal horn assembly with correct mounting bracket. One low pitch and one high pitch required per car. Low horn will work on 67-68 with integral A/C but not 100% correct. 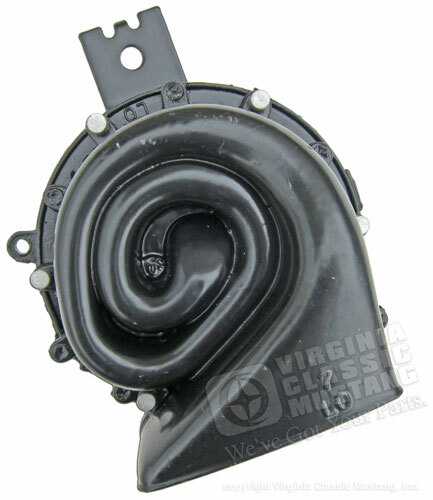 See Part number EG-9131 for correct horn to use with A/C car. Fits 71-73 but to be exact the horn needs to be turned on the bracket for correct direction of horn mouth.